It's Day Three of my Thanksgiving Week series. I have already covered Mashed Potatoes and Dressing, and today we are tackling Green Bean Casserole. I am really excited to share this recipe with you today. Are you tired of the boring old green bean casserole that appears on the table every year? The one that comes completely out of cans? If so, you're going to love this recipe. I saw that The Pioneer Woman but bacon and cheddar cheese in her green bean casserole and I took that idea and ran with it. 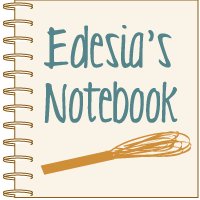 This isn't her recipe; she inspired me and I came up with this one. Cut green beans into pieces, if desired. Place green beans in a large pot of salted boiling water. Boil until beans are desired tenderness. Drain and set aside. Meanwhile, cook bacon in a skillet over medium heat. When fat starts to render, add onions and mushrooms and saute until veggies are soft and bacon is fully cooked. Melt butter in a saucepan over medium low heat. Add flour and cook for a few minutes. Combine milk and chicken broth; add slowly to saucepan, whisking to incorporate. Bring to a boil, stirring constantly. Reduce heat to low and add cheddar cheese. Stir until cheese is melted. Taste for seasoning, adding salt if necessary. Add bacon/mushroom mixture and cheese sauce to green beans. Mix well. Pour into a 9x13” baking dish and top with french fried onions. Bake 10-15 minutes, or until onions are golden brown. I tried to keep this casserole a little reminiscent of the old standby. I kept the mushrooms in there, and while the sauce is cheesy, it's still somewhat similar to the canned stuff in the old recipe. I used a combination of milk and stock to achieve that. This casserole is so good! I have always loved the canned version, but I'm not sure I will be making it again after having this deliciousness! I mean, really, bacon and cheese? How can you go wrong? We had a mock-Thanksgiving meal where I tried out all of my Thanksgiving Week dishes and this is probably what I ate the most of. I kept the french fried onions on top, because I love those things, but if you don't care for them, you could use Panko breadcrumbs instead. Come back tomorrow for an out-of-the-box sweet potato recipe (or should I say "out-of-the-casserole-dish"?) You're going to love it. 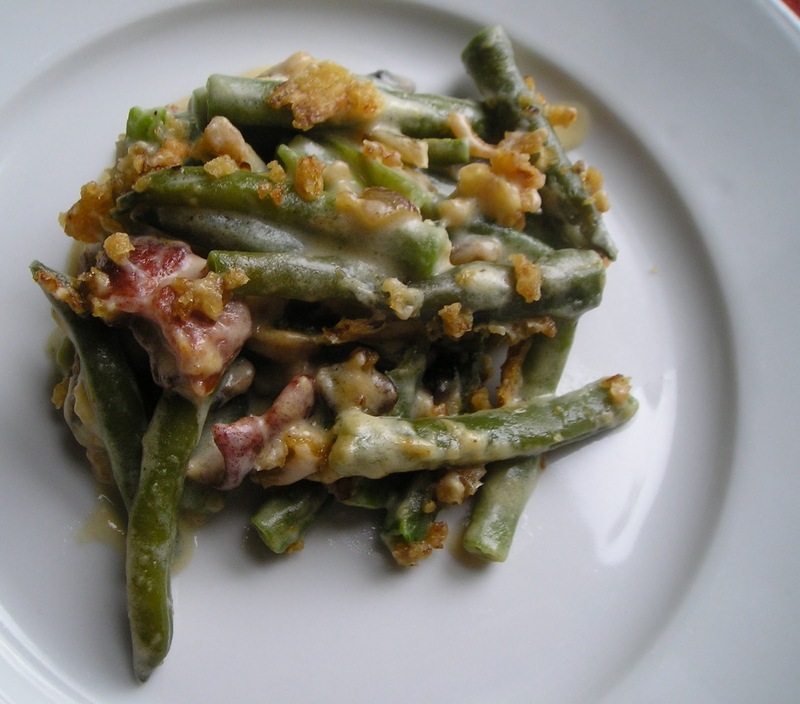 This looks like a seriously good green bean casserole. Actually when someone doesn't know afterward its up to other users that they will assist, so here it occurs.